Hassle-free technology that works for you! NDSL are your technology partners, committed to helping Northland businesses increase productivity and reduce costs. Locally owned and operated since 2008, NDSL Ricoh are proud of our local pedigree. We are actively involved in our community, sponsoring several local organisations and right now, the Northland Business Excellence Awards. We care about the place, we understand the people and we know the right products. Building long-lasting relationships with many businesses and organisations in Northland is important to us. Delivering a full-range of quality, high tech Ricoh products as our name suggests, Northland Document Solutions Limited (NDSL) are here to advise you of the right technological solution for you. With 13 staff and over 100 years’ combined industry experience, we have the knowledge and expertise to support you. We like to think of ourselves as part of your team, therefore, we look at the bigger picture, to ensure you get the right solution. Northland Document Solutions Limited: We run the things that run your business. 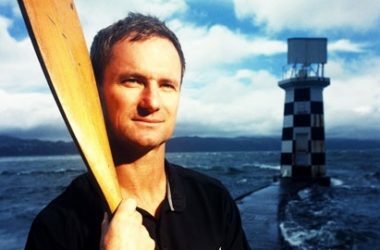 Rob represented New Zealand at the Atlanta Olympic Games and published ‘The Naked Rower’ on how he and Phil Stubbs captured headlines around the world when winning the gruelling and inaugural Atlantic Rowing Race in 41 days. He is also the narrator-protagonist of the award winning documentary Brother Number One, which recounts the story of his return to Cambodia to retrace the steps of his brother Kerry, tortured and murdered by the Khmer Rouge.